Ruoqing Xie obtained her dual bachelor’s degree in Economics and Law from Nankai University in China. During her undergraduate study, she conducted several research projects including authoring a paper, “Financial and Macro-Liquidity Risk”, which she presented at the 12th International Post-Keynesian Conference at the University of Missouri, Kansas City in 2013. Ruoqing has a passionate interest in analytical models and data as evidenced by her "Meritorious Winner" award for her participation in the "Mathematical Contest in Modeling Competition" at Nankai University. Ruoqing interned at Essence Securities in Shanghai, where she worked as an investment analyst and developed investment strategies for clients. 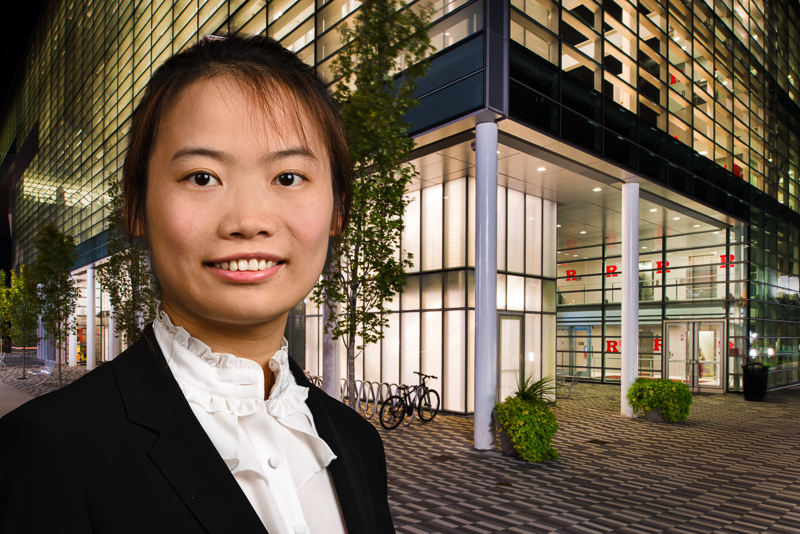 Ruoqing career focus is to leverage her combined expertise and experience in law and quantitative data analysis to support her goal of becoming an outstanding professional risk manager and "quant". In support of this goal, she enrolled in the Rutgers University Financial Statistics and Risk Management program (FSRM) to develop a deeper understanding of data analysis and statistical methods as applied to algorithmic trading, portfolio optimization and risk management.